Gaza's National Committee for Breaking the Siege expressed its concern for the safety of international solidarity activists who were aboard the Al Awda Freedom Flotilla ship when it was attacked by Israel in international waters. Head of the International Committee of the Red Cross (ICRC), Zaher Birawi, said that this information contradicts Israel's statements and claims that the detention of the activists was peaceful and that no one was harmed. He stressed that Israel will be prosecuted for the "crime of kidnapping" the Freedom Flotilla ship and its activists, who did not impose a threat to Israel's security. 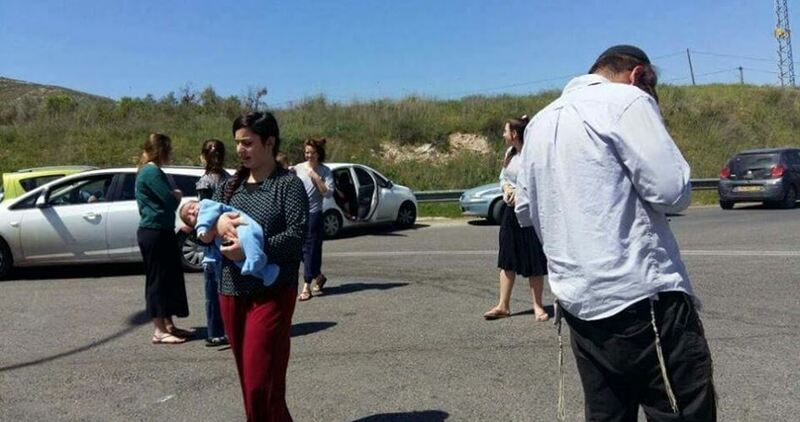 Regev said in a statement that "people on board were tasered and hit by masked Israeli soldiers. We did not get our passports or belongings before we got off the boat. Do not believe reports of peaceful interception." 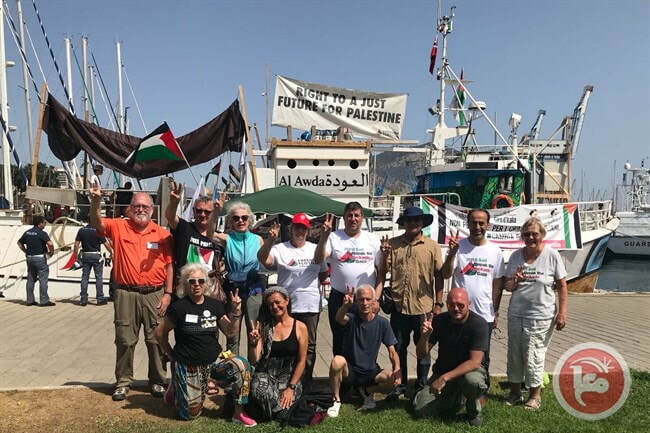 The Freedom Flotilla ship peacefully sailed towards the shores of Gaza, with aim to draw the world's attention to the unjust siege and intending on breaking Israel's nearly 12-year blockade of the Gaza Strip. The Wall and Settlement Resistance Committee announced a state of alert until further notice in the Khan al-Ahmar Bedouin village east of Jerusalem, on Tuesday. The committee made the announcement a day before the Israeli Supreme Court's decision regarding the appeal to either approve or reject the demolition of the village. The announcement was also made on the 30th day of solidarity protests by Palestinian families of Khan al-Ahmar, along with local and international activists and Palestinian Authority (PA) officials, who have been stationed in the village to support the Bedouin residents' right to reside in the area. According to Hebrew-language news outlets, the Israeli Supreme Court will discuss, on Wednesday, the evacuation of residents and the demolition of their village after an urgent petition submitted by Palestinian lawyer Alaa Mahajna. 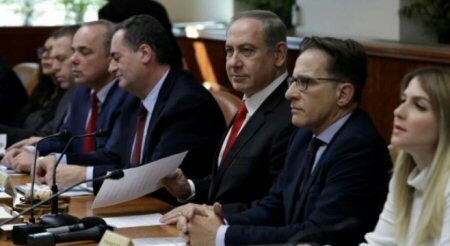 Sources added that a number of Israeli Knesset members from the Likud, a right-wing political party, signed a letter calling on the Israeli Supreme Court not to respond to the demands of the Palestinians regarding Khan al-Ahmar, viewing the response as "a sign of Israeli surrender." Meanwhile, many delegations headed to the solidarity tent in Khan al-Ahmar as a form of protest against the planned demolition. Israel has faced increasing international condemnation as the world watched Israeli forces prepare for the demolition of Khan al-Ahmar and attempting to forcibly displace its 181 residents, half of whom are children. The Israeli occupation authorities notified on Tuesday the demolition of six Palestinian homes in al-Walaja village, northwest of Bethlehem. 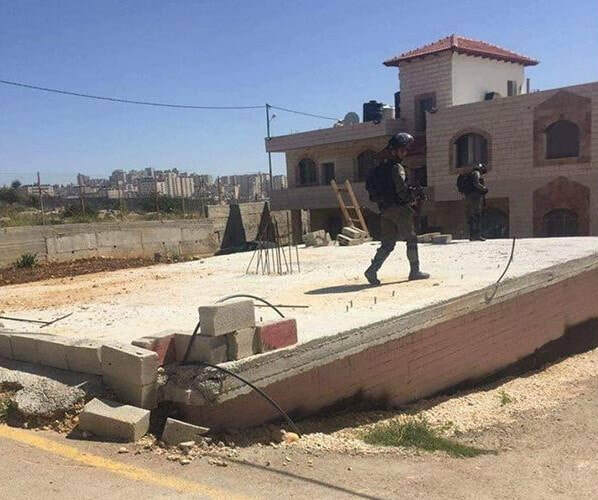 A heavily-armed Israeli patrol and members of the Jerusalem municipality showed up in Ein Juweiza, north of al-Walaja, and handed over demolition orders to six Palestinian families. The demolition notices were issued under the pretext of unlicensed construction. 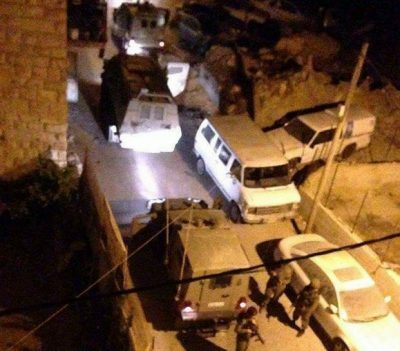 The occupation forces also handed over interrogation writs to the owners of the targeted homes. Over recent months, 20 Palestinian families have had their homes reduced to rubble or received halt-construction orders by the occupation forces in Juweiza area. 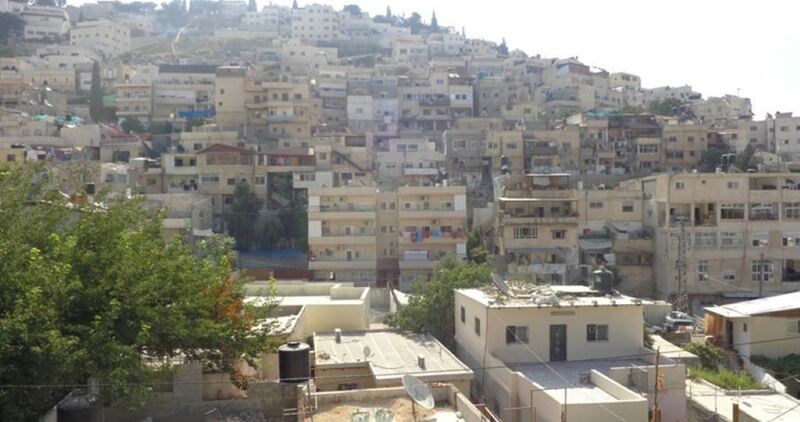 80 more Palestinians buildings risk to face a similar fate. 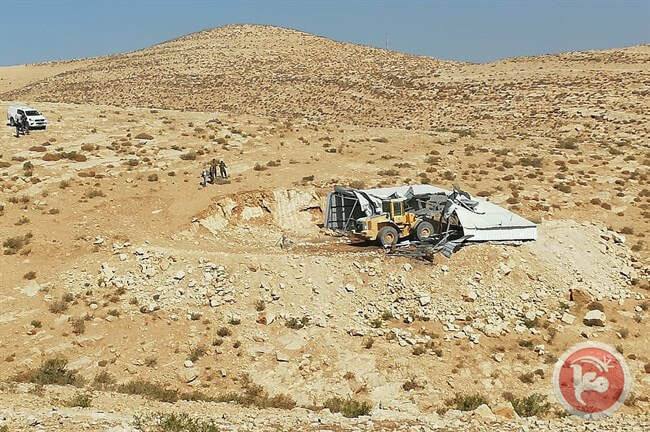 Israeli forces demolished a steel structure used for housing sheep on Monday east of Yatta City in the southern West bank district of Hebron. 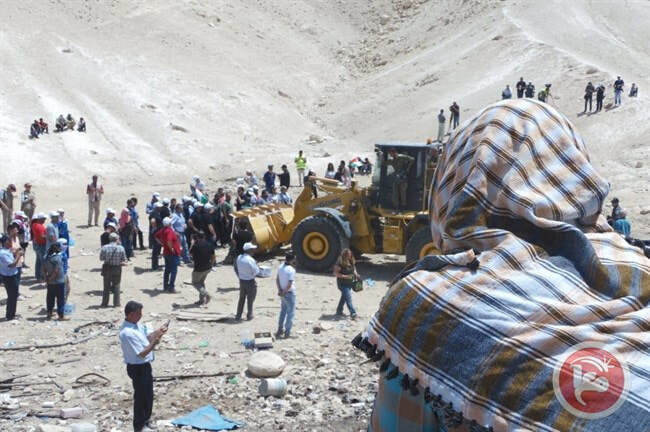 Locals said that an Israeli bulldozers escorted by soldiers demolished the structure, in the Tuba area east of Yatta, under the pretext of being built without the nearly impossible-to-obtain Israeli building permit. Sources added that the demolished structure belonged to Ismail Elayyan and that he had not received a prior notice regarding the demolition. The demolished structure provides economic lifelines to many Palestinian families; the damages have yet to be counted. 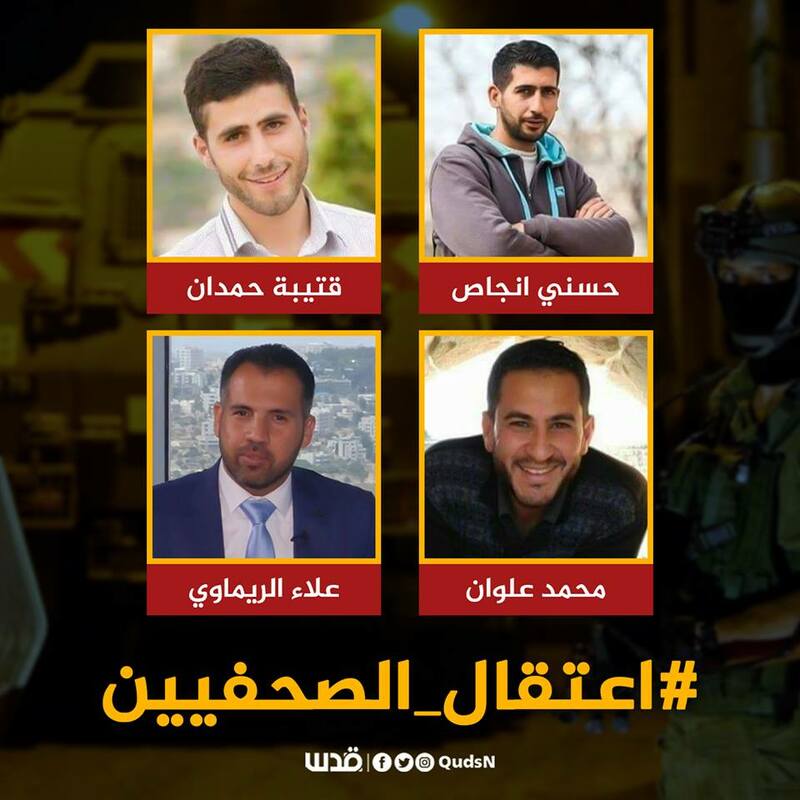 The Palestinian Prisoners’ Society (PPS) has reported that Israeli soldiers abducted, on Sunday at dawn, eight Palestinians from their homes in several parts of the West Bank. 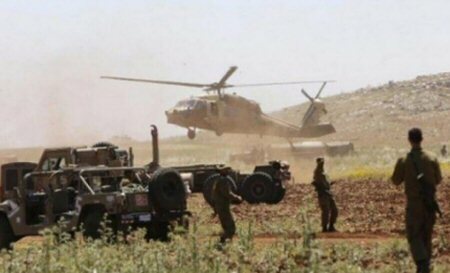 The PPS said the army continued its invasions and violent searched of homes in Kobar village, north of Ramallah, abducted four Palestinians and confiscated a motorcycle. Yahia Mahmoud Amriyya – Kobar, Ramallah. Qais Mohammad Barghouthi – Kobar, Ramallah. Milad Barghouthi – Kobar, Ramallah. Mahmoud al-Qattawi – Kobar, Ramallah. Mohammad Ibrahim Salah – al-Khader, Bethlehem. Ahmad Mohammad Salah – al-Khader, Bethlehem. Mohammad Mamdouh Salah – al-Khader, Bethlehem. Israeli settlers on Friday afternoon carried out several aggressions on Palestinian property near Jaloud town, southeast of Nablus city in the northern West Bank. 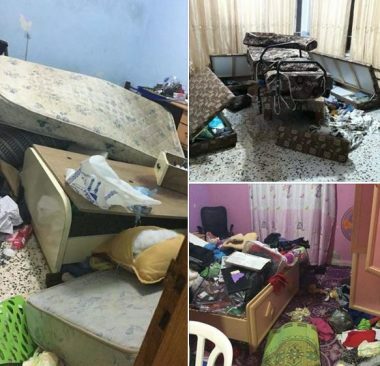 Anti-settlement activist Ghassan Daghlas said that a group of Israeli settlers from Esh Kodesh settlement, built by force on Palestinian lands, attacked a number of houses near Jaloud town. One house was burned and another was vandalized. The settlers further burned over 50 trees and set nearby farmlands alight, according to Daghlas. He explained that the targeted houses are owned by Palestinian citizens from neighboring villages and no-one was inside during the attack. The Palestinian activist added that the settlers deliberately carried out the attack during Friday prayer. Palestinian citizens following the prayer rushed to the area to defend their property and clashed with the settlers. The Israeli occupation forces later arrived in the scene, provided protection to the settlers, and detained a number of Palestinian citizens.